Unfortunately, much like Cookie Monster, it's eating something like chocolate . 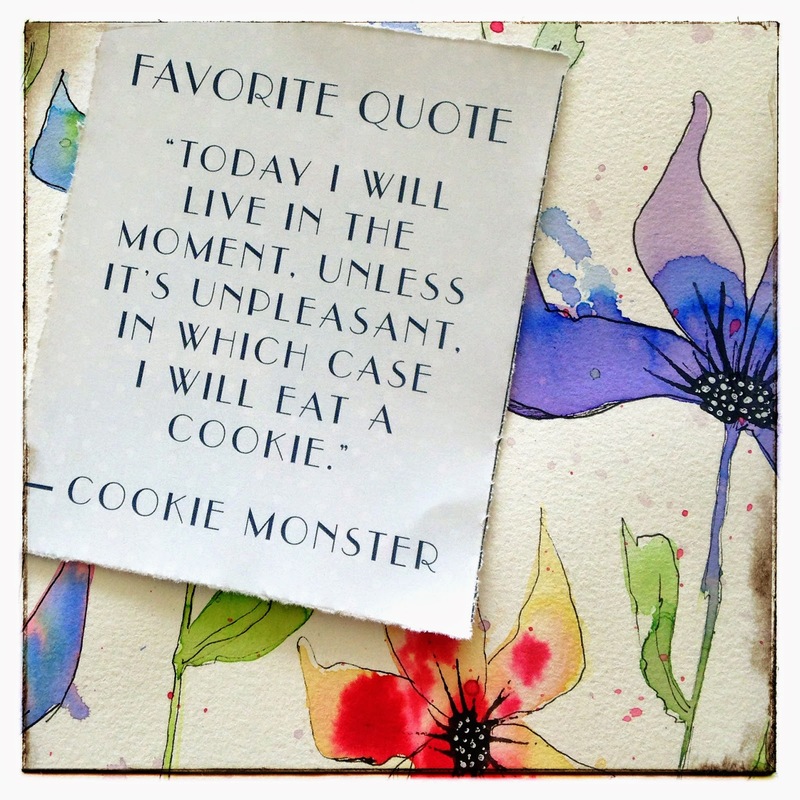 . . or a cookie. However, there are times when I do what I should do first, pray and seek God's wisdom for the situation. Deep breaths. Clenching fingers. Venting to the other half of my brain ;). Prayer (which, of course, should come first). And cookies/chocolate. Snuggles help too. OOH - and.... (Giggle). LOVE the quote!